On this site you'll find everything about the Spoolon team. Including game reports for individual games, interesting stats and standings. 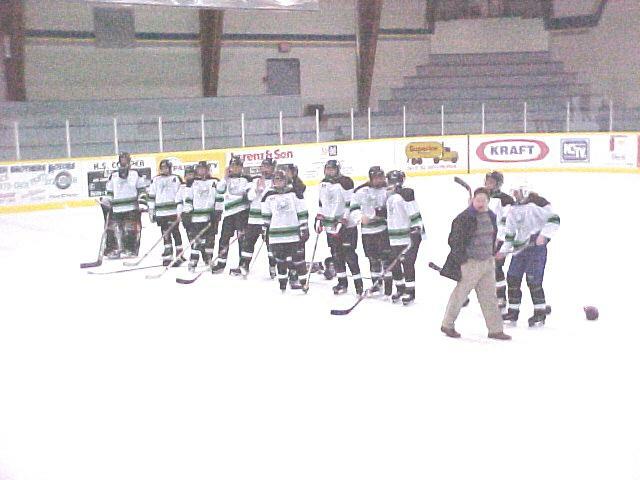 The Cobourg Midget A girls hockey team is looking forward to an exciting yet challenging 2001/2002 season. The move from the Central East Girls Hockey League to the North Metro Toronto Girls hockey league will challenge all the players to new heights. The team this year under head coach Pete Kelly is comprised of players from the Silver winning Midget BB and the Gold winning Bantan BB teams of the 2000/2001 season. The returning second year players coupled with the dedication of the new troops will offer fans, players and the coaching staff an opprotunity for an exciting fun filled season. Thanks for taking a look at the girl's site. Be sure to sign the guestbook below or send a private e-mail with your thoughts and suggestions. We'll be updating frequently, please check back often. The exhibition season comes to an end with the first League game Saturday October 13 at Oakville.